Do you wish your messaging platform was stronger? Can everyone at your organization deliver a compelling elevator speech? Are you struggling to get senior management to care? As communication professionals we instinctively know that a strong message platform is an essential tool to drive any successful program. But building and deploying a platform often turns out to be harder that it looks. Whether you have a good platform that you’d like to make great, are starting from scratch or are preparing to hire outside counsel for a total brand refresh, this workshop will have something you can take away and use today. Participants are encouraged to bring current messaging challenges to the workshop for live problem solving during the session. J. Scott Punk, APR is a senior communications counselor who primarily works with clients to develop strong communications strategies built on effective messages that help grow revenues and market share. Scott has spent most of his career in consultancy. As a senior agency executive he has had P&L and sales responsibility while at the same time leading the teams responsible for successful delivery of professional services for clients across the United States and around the world. 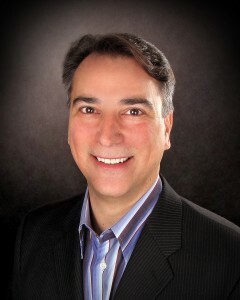 A business-to-business branding and messages expert, Scott has developed almost 50 messages and positioning platforms. He also has created several brand refreshment and brand equity transfer programs. Scott recently spent five years in London, England as the director of global brand management for ESI International, the world’s largest project management training company. He holds an M.S. in Mass Communications Management, with an emphasis in media analysis, and a B.S. in Mass Communications, both from Virginia Commonwealth University in Richmond, VA.
Scott has pursued opportunities to teach and coach throughout his career. He has taught as a member of the graduate faculty in the School of Communications at American University and often teaches in the corporate environment. He has authored and delivered courses on a range of marketing communications topics including message development, communication audits and selling professional services.